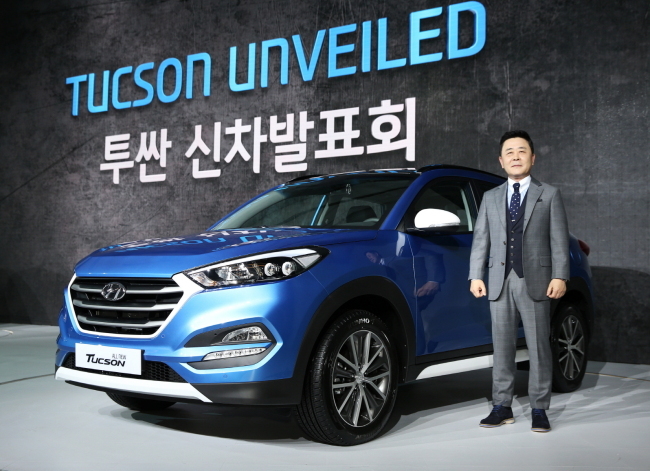 Hyundai Motor on Tuesday released the all-new Tucson, targeting youngsters looking for compact sport utility vehicles. With the latest technology, refined exterior design and reinforced safety system on one hand and the global SUV boom on the other, Korea’s leading carmaker is determined to sell about 570,000 units worldwide this year. More than 3.95 million units were sold worldwide since the Tucson’s launch in 2004 and it has become one of the best-selling models for the world’s fifth-largest automaker.